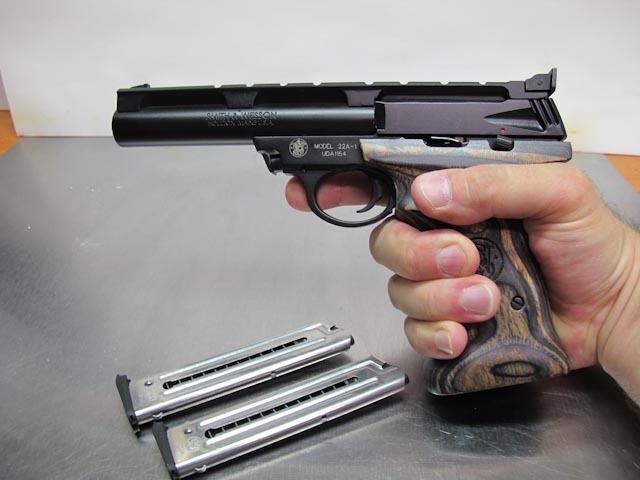 I have been on the lookout for a new 22LR pistol for a while as the sight radius and a few other factors have over time made plinking with my Ruger MKIII less enjoyable. 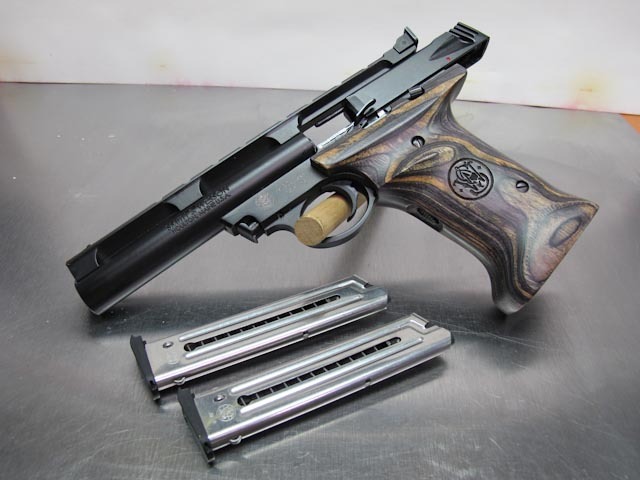 I have looked at multiple options and was set on the new Smith-Wesson MP22 as it has the same ergonomics as the the center fire M&P pistols I own but is more economical to operate and also quieter caliber. 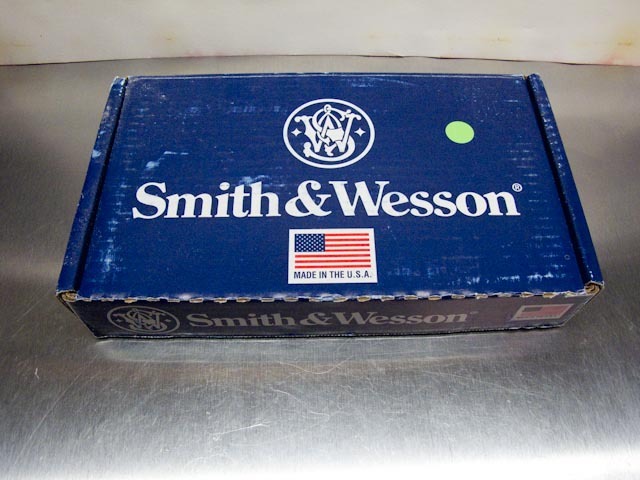 I had held the M&P and was waiting for the next show to look for bargains, when I happened to pick up a Smith-Wesson 22A equipped with composite wood grips, and well I was sold for reasons which I will explain later. 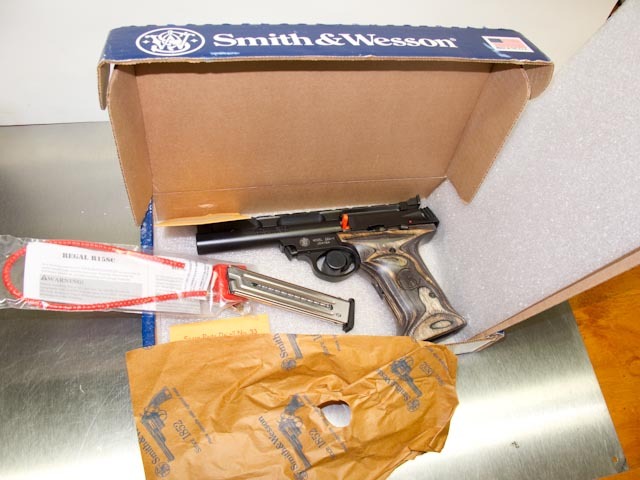 This pistol does not ship in a plastic container, instead a cardboard is used. Inside you will find the manual, cable lock, 2 magazines a rarity this days and of course the pistol. I had looked at the 22A previously and did not consider it a strong contender due to fit issues, but as I hinted earlier once I picked up this particular model it was love at first grip. I have large hands and wear a 2XL or 3XL glove when I can find them and grip size and trigger location is critical to me. As you can see below I have a good purchase on the grip and the trigger is well placed. 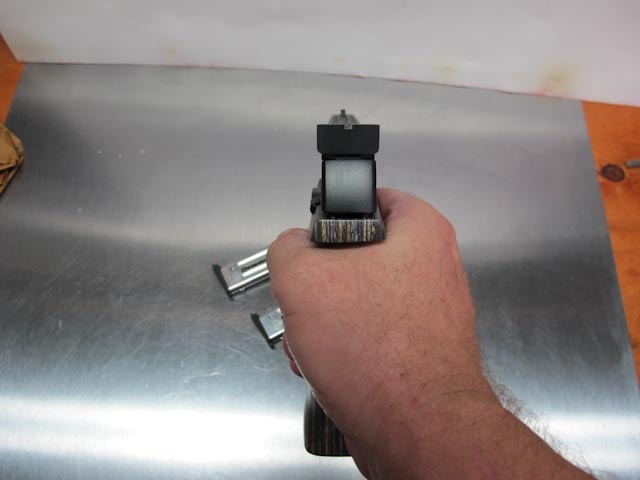 Once I aligned the sights (they were way off out of the box) the pistol has been blast to shoot, at 25 yards the increased sight radius does help as does the grip and weight of the bull barrel. There is next to no felt recoil and with one exception the feeding has been flawless. I find that the round nose Federal feeds much more reliably than the flat nose Winchester on the left which tends to hang up in the magazine. In summary I still enjoy the pistol several full boxes later, it has a decent trigger, good sights (wish the front was replaceable), ships with two mags and is easy to break down to clean. 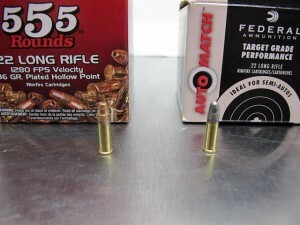 And that is all I need in a plinking pistol.